Welcome to Custom Carvings by Perry ! We provide a wider range of products which can be created, carved, and produced based on YOUR ideas using the Carvewright Carving System! We can carve nearly all types of wood and several types of stone including corian, silestone and other counter top materials. Artwork for the carving can be selected from a huge database of patterns. You can even email us a picture or emblem that you would like reproduced into the project ! We can create custom lithoplanes from any photograph! We use the Carvewright Carving system as our primary tool in designing projects. This unique system can carve nearly anything you can think of. Whether it’s from Carvewright’s massive library of patterns or from a picture that you would like to have reproduced onto the project. Here’s a demo of the carvewright machine in action! 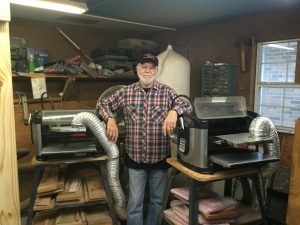 Want to Demo or Purchase a Carvewright System? Perry is a registered StartU member that can do private demonstrations and training! We are located in South Louisiana and have giving training and demos to schools, businesses, and individuals. Contact Perry to talk about getting started! Have an idea ? Email Perry @ myshop1044@yahoo.com and let’s see what we can do for you!